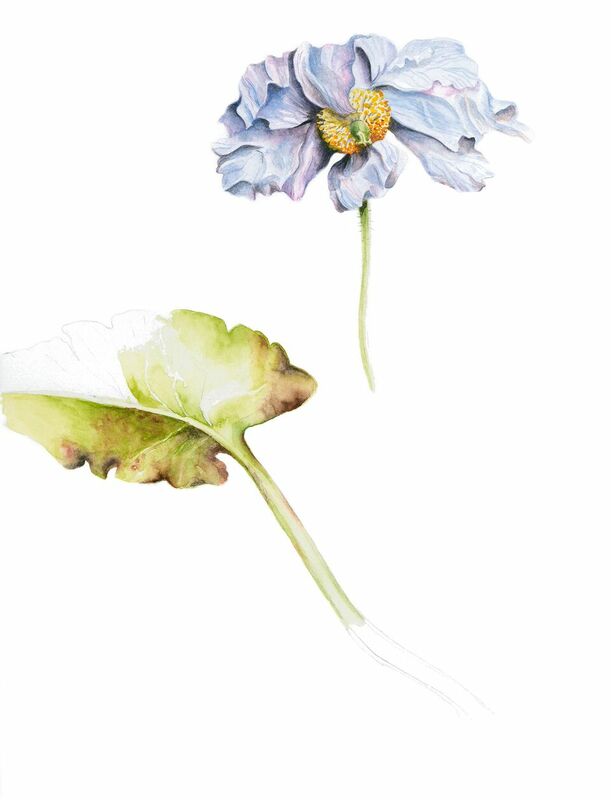 I am a contemporary botanical artist, in the tradition of botanical art with its scientific heritage and focus on accuracy in all aspects of a plant's structure. I love to portray the subject alone without any distractions. From the Clinton Ferry Terminal take the SR525 to Freeland main light & turn right onto Main Street. Drive approximately 200 yards past the Payless Grocery Store up the hill to the first intersection. Turn left onto East Harbor Drive, & for 0.8 miles continue along the road, and turn right onto Twin Oaks Lane. Then immediately turn left onto Watkins Road. Home/Studio is approximately 200 yards on the right, a blue grey house with white trim.